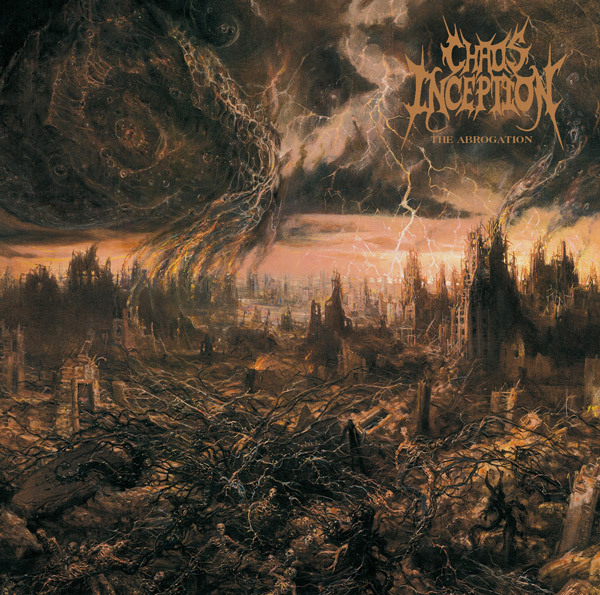 Chaos Inception was formed during 2008 in the state of Alabama. They play death metal with a tinge of bestial blackness. The riffing conveys the feeling of being on a run-away locomotive carrying explosives, and if you add the insane blasting, you'll find the locomotive is heading straight for a tornado. The higher-pitched, tech-like riffs and soloing help switch up the variety of the songs a great deal. This is a top-notch underground band—the riffs are memorable and the ferocity of the music, incredible. For fans of Krisiun, later Behemoth, Hate Eternal, and black death in general. The stunning artwork by Paolo Girardi isn’t part of the music but it gives you a good idea of what you’re about to hear, and adds to the atmosphere the band succeeds in creating.